Crime • During search for teen, a "soft lockdown" was initiated for several schools. 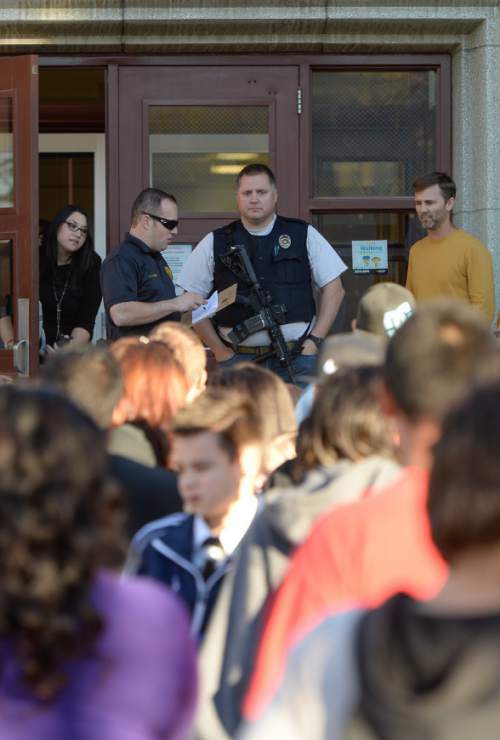 Francisco Kjolseth | The Salt Lake Tribune Students are allowed to leave Brockbank Jr. High in Magna after Unified Police put four area schools on lockdown following reports that a student brought a gun to to the school on Tuesday, Nov. 11, 2014. The weapon turned out to be a toy. 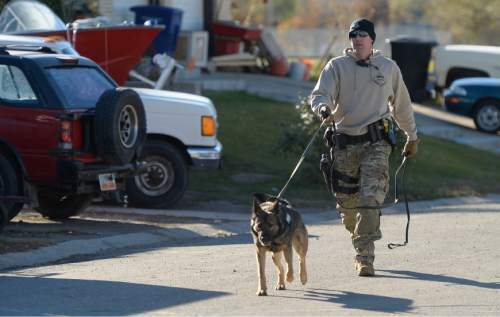 Francisco Kjolseth | The Salt Lake Tribune A canine unit combs the neighborhood in search of a suspect as police put four area schools on lockdown in Magna after reports that a student brought a gun to Brockbank Jr. High on Tuesday, Nov. 11, 2014. The weapon turned out to be a toy. 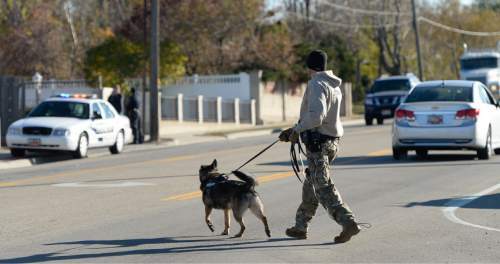 Francisco Kjolseth | The Salt Lake Tribune A canine unit combs the neighborhood in search of a suspect as police put four area schools on lockdown in Magna after reports that a student brought a gun to Brockbank Jr. High on Tuesday, Nov. 11, 2014. The weapon turned out to be a toy. 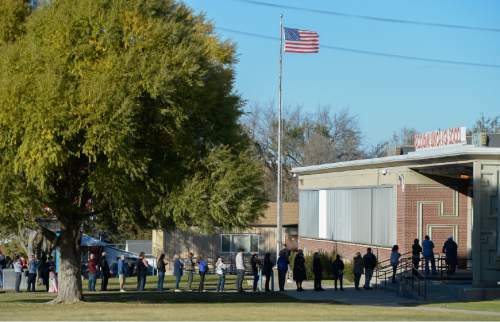 Francisco Kjolseth | The Salt Lake Tribune Long lines form outside of Magna Elementary with parents having to pick up their kids after police put four area schools on lockdown in Magna after reports that a student brought a gun to Brockbank Jr. High on Tuesday, Nov. 11, 2014. The weapon turned out to be a toy. 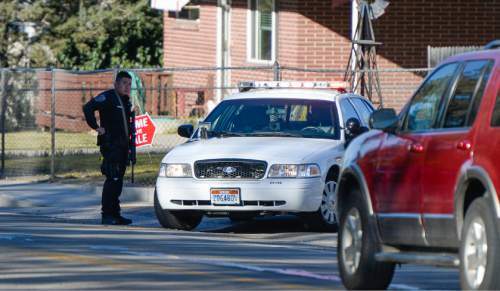 Francisco Kjolseth | The Salt Lake Tribune Police put four area schools on lockdown in Magna after reports that a student brought a gun to Brockbank Jr. High on Tuesday, Nov. 11, 2014. The weapon turned out to be a toy. 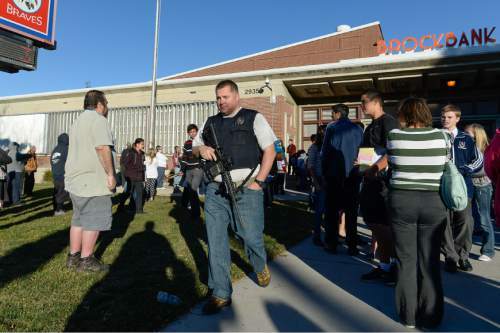 Francisco Kjolseth | The Salt Lake Tribune Students are allowed to leave Brockbank Jr. High in Magna after police put four area schools on lockdown in following reports that a student brought a gun to to the school on Tuesday, Nov. 11, 2014. The weapon turned out to be a toy. 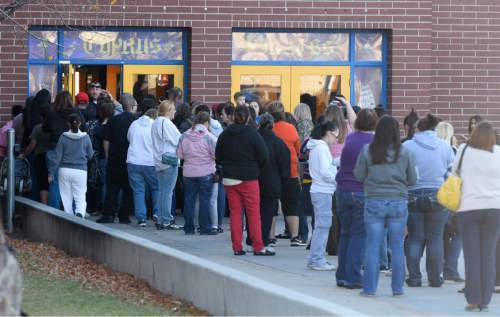 Francisco Kjolseth | The Salt Lake Tribune Long lines form outside Cyprus High with parents having to pick up their kids after police put four area schools on lockdown in Magna after reports that a student brought a gun to Brockbank Jr. High on Tuesday, Nov. 11, 2014. The weapon turned out to be a toy. 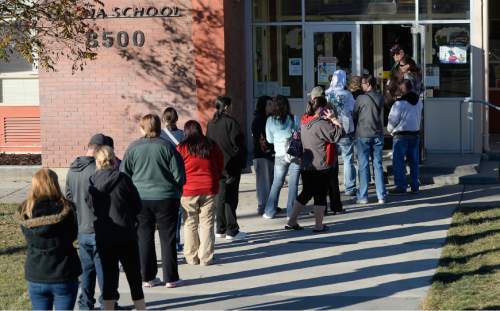 Francisco Kjolseth | The Salt Lake Tribune Long lines form outside of Brockbank Jr. High with parents having to pick up their kids after police put four area schools on lockdown in Magna after reports that a student brought a gun to Brockbank Jr. High on Tuesday, Nov. 11, 2014. The weapon turned out to be a toy. A 14-year-old boy allegedly seen with a gun  which turned out to be a toy  near a Magna junior high school was arrested Tuesday afternoon following an extensive search, according to Unified Police officials. The boy surrendered near 3100 S. 8400 West just after 3:30 p.m., according to officials. Police had combed the area looking for the teen for two hours before he was caught. Lt. Justin Hoyal said Tuesday that officers were called to the area of Brockbank Junior High School, located at 2935 S. 8560 West, at around 1:30 p.m. after a student saw another student with a gun outside. That information was relayed to a school resource officer, Hoyal said, who walked outside of the junior high school and spotted the 14-year-old boy about 100 yards away. The boy then ran away, Hoyal said, prompting a search of the area by police, which included setting up a containment area encompassing 2900-3100 South and 8300-8400 West. Hoyal said that the school resource officer did not see a gun when he first spotted the teen. Hoyal said police know who the teen is, but were not publicly releasing his name because he is a juvenile. During the search for the teen, Granite School District initiated a "soft lockdown" for Cyprus High School, Brockbank Junior High School, Magna Elementary and Pleasant Green Elementary. That lockdown was lifted just before 4 p.m. The school district said police officials confirmed that the weapon was a "toy gun that looked real." "We clearly have to treat any potential threat seriously," the school district&apos;s Twitter page reads.